Just kidding, you can drink as much lemonade or water that you want when you draw. 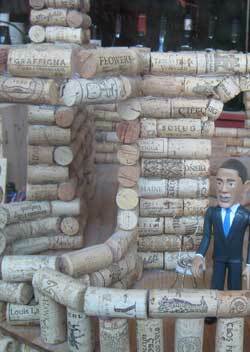 But let’s face it, anyone who drinks this much wine to build a building out of corks, probably is overdoing it. Hey, is that the President of the United States in that cork building? Maybe the cork building is smaller than we thought. It is a pretty neat idea to build out of found materials, so let’s make a toast to reuse and cheer to buildings of any materials!